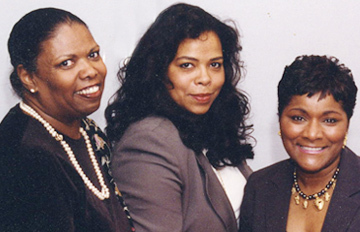 Welcome to The New York State Association of Black Women Owned Enterprises' (BWE) website. BWE has provided a variety of business technical assistance, resources and procurement information for your convenience. You're just a click away. However, for additional detailed information, regarding entrepreneurial services, donations or corporate sponsorship opportunities, please do not hesitate to contact the BWE office directly, at 999.485.5911. Thank you for visiting our website. Please bookmark it as one of your favorite places and visit us often. The mission of BWE is to identify and remove the barriers that impede the success of black women business owners from participating in government and private sector procurement, promote equal access to capital, educate, advocate, reverse industry trends that foster business failure among black women business owners, serve as a referral resource, and serve as a clearing house for all information related to businesses owned by black women. Although BWE's core mission is to serve Black Women Business Owners, we do not discriminate. All are welcome to join. Always practice in a moral, ethical and legal manner. Aim to remain a mission driven not-for-profit corporation. Aggressive fundraising  to provide resources for the future and greater educational programs and services. Strive to innovate and be the premiere charitable association of choice  for contributors, members and employees alike. Practice stewardship as an ongoing campaign. Lead by example and promote leadership. Never compromise any one of these principles. Copyright (c) 2004 - 2006 The New York State Association of Black Women Owned Enterprises, Inc.
Site powered by: P Hardy Technologies, Inc.